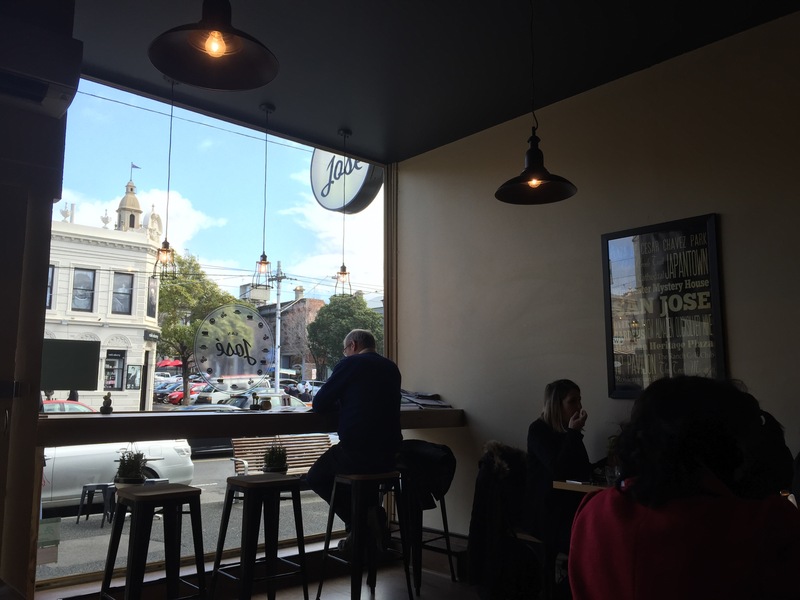 There’s plenty of options for a hungry 9-5’er come lunchtime in South Melbourne. 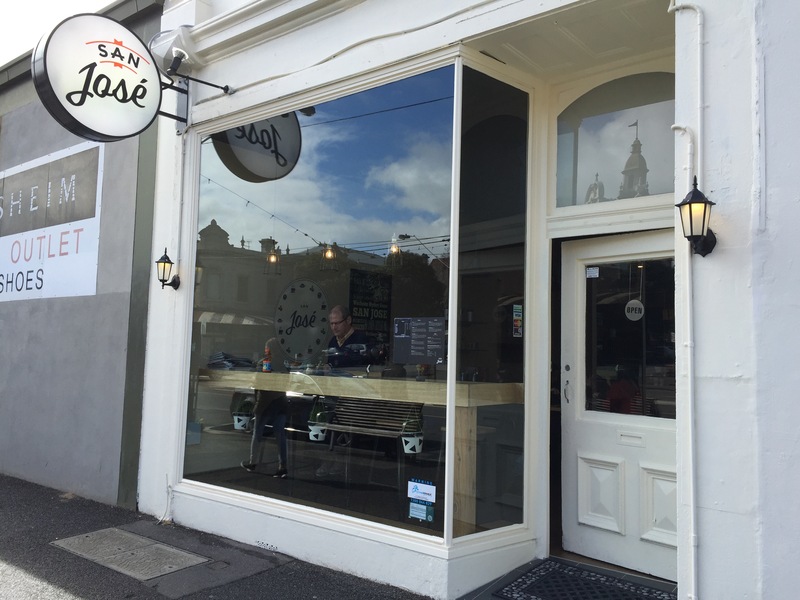 The most joy is to be found on Clarendon Street where a newly opened cafe has been causing quite a buzz! 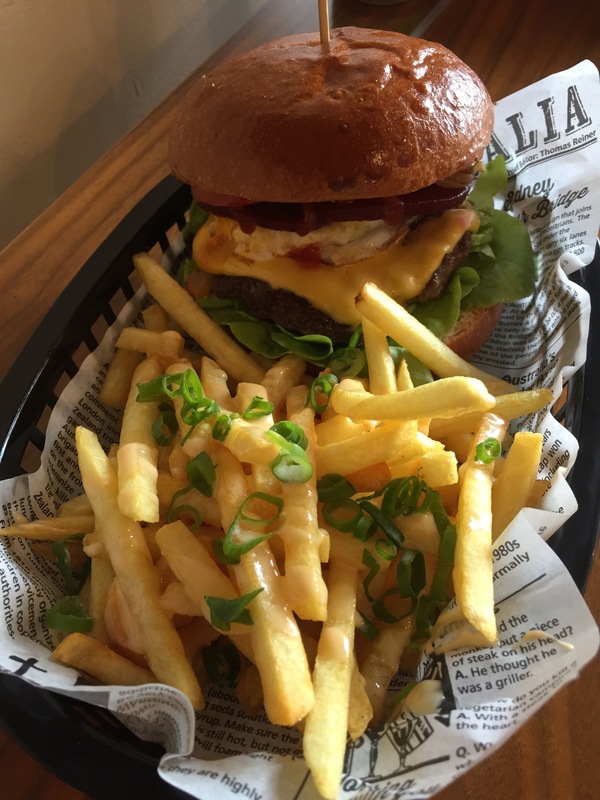 We were hooked as soon as we read the words ‘cheese fries’ and made it our mission to visit in their first week open! The cafe is cute and quiet inside. It’s small and simply furnished but comfortable. The stunning view of the street through the wide front window is perfect for people watching, one of our favourite pastimes. As with most newly opened venues San Jose had teething problems. For us it’s more about how they handle those issues that will inevitably arise. The staff were panicked when they couldn’t take cash payments, but friendly, warm and apologetic as it got sorted. Our food orders went through regardless and we got our food super quickly despite the hiccup. I went with the Down Under burger and a serve of cheese fries. If there’s anything more Aussie than beetroot in a burger I am yet to try it. I absolutely loved biting down on the soft brioche bun and having the yolk break and ooze out the edges. There was melted cheese, lots of flavour and lots of meat. This burger was basically everything I could have hoped for… I may have returned the next week for the exact same thing. I also tried the cheese fries. I wasn’t sure what I was expecting besides the fact that there would be cheese and fries but was ultimately a little disappointed with the result. There simply wasn’t enough cheese and it wasn’t spread through either, more a dribble over the top. Keep the spring onions, add a little salt and excuse my language but a shitload more cheese and you’ll have people queuing out the door for a taste! We were quite impressed overall with San Jose and have already been back! We look forward to more burgers to come!